Description: Digitization provided by the USF Libraries Digitization Center. Rare Maps. 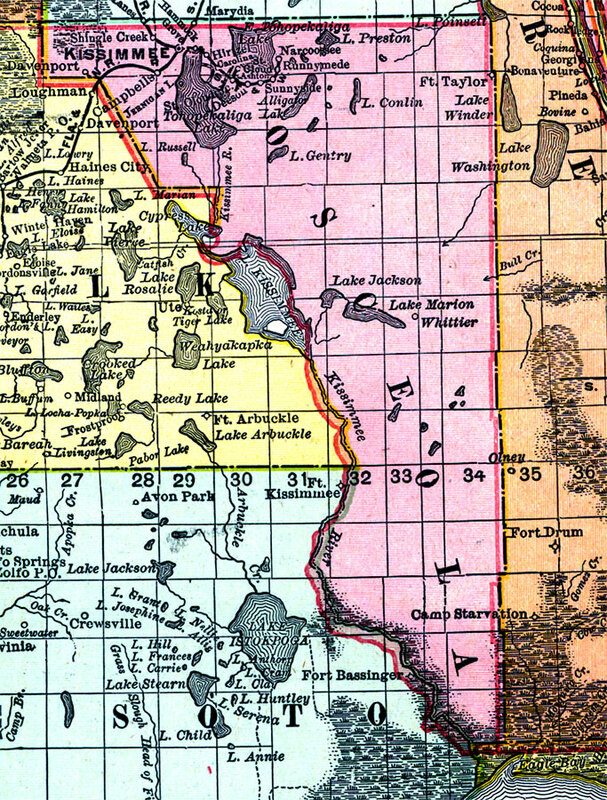 This is a detail map of Osceola county circa 1898. This map shows section township range (STR). Main cities and towns are shown such as the county seat Kissimmee. Inland waters are also shown such as the Kissimmee River. Scale: Statute Miles, 19 = 1 inch. Engraved, printed and published by Rand, McNally & Company.